BRAHMS' GERMAN REQUIEM: Details of scores and practice aids are now available via Practice Aids on the Members drop-down menu. CAMEO: "Uncle Ralph" - extracts from A Fiddler Tells All, Di Jerrold's father's recollection of over 50 years as a professional musician and his personal memories of Ralph Vaughan Williams. WELLY WEEKLY: Great picture in 3 April issue (see opposite). CAMEO: Simon Johnson reminisces about his time as an Organist/Director of Music in seven parish churches. CAMEO: Alison gives us a glimpse into her other life as an Examiner. 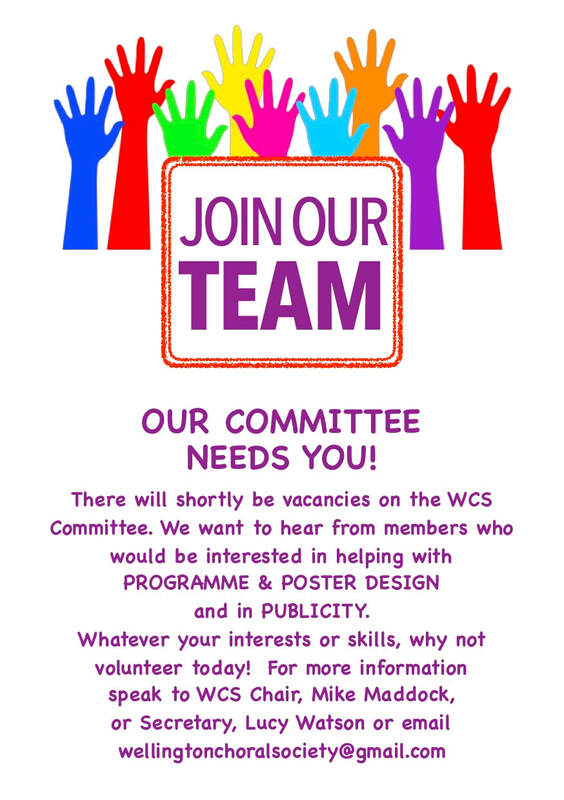 DOCUMENTS: A copy of the WCS Member's Handbook and the latest WCS Newsletter will be found further down this page. CAMEO: Simon Johnson looks back to his time as a chorister in the Salisbury Cathedral Choir, under the guidance of Sir David Willcocks. If you are interested in contributing an article, please contact Hilary (website editor) at the Wednesday rehearsal. NB: For all WCS policy documents click on WCS's Policy Documents in the drop-down list from the Members tab. There is a representative for each section of the choir to help new members find their feet and raise any concerns.